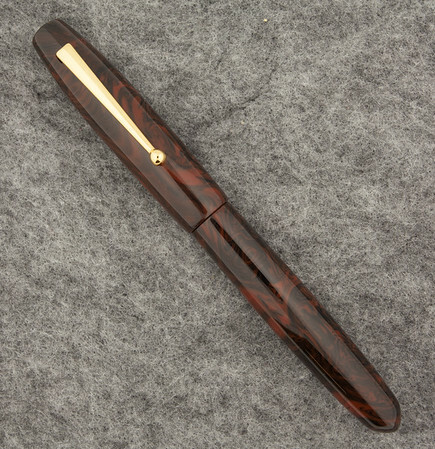 Edison Pen Co – 2015 Limited Edition Collier! We are proud to announce our 2015 Limited Edition Production Line Collier! See the video and photos below…. This edition will be limited to 150 pieces. The material is Black Rose Acrylic, which has been a favorite in our Signature Line as a custom material for a long time, but we’ve never been able to find it in large enough quantities for a series of pens this large until now. Since this is a Production Line pen, you will not buy this pen directly from Edison. Instead, you will buy this pen from any of our retailers that we list here. Do you know how soon they will be available at Nagasawa pens in Japan? Sorry, no. They didn’t place an order. The nearest retailer to them would be La Couronne du Comte in the Netherlands or The Writing Desk in the UK. Oh man!! I’ve been on a pen ban since the spring (my last pen was the Spring Goulet + Edison collab) but I’m going to have to come out of it for this! What a gorgeous material, and not one I would look at normally!! has Goulet ordered from you? Yes, they have. Their site is live now with the pen! Looks super. Been wanting a Collier for a long time and this was a great opportunity to get a special one. 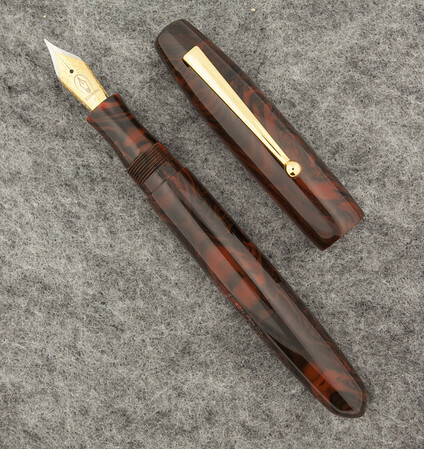 Ordered one from The Writing Desk today with 18k F nib! I think the Goulets might be sold out of this pen already! Ditto the Andersons! Already owning a couple of Colliers made this one, one I could make easily. I love the look and fit of this model and look forward to the day when I can custom order one. I keep going through the galleries looking at colors and patterns and filling systems and … you get the picture! Oops! Meant to write: ” … made this one, one ‘decision’ I could make easily.” Clearly there is no way I could make this pen myself! Hi… Is it available in the Philippines? Hi Fred. Sorry, but this Limited Edition Collier is all sold out! However, you can get our standard Colliers from Scribe Writing Essentials in the Philippines. Thanks! Edison Pen Co – Edison Nominated for 2015 Goldspot Pen of the Year! 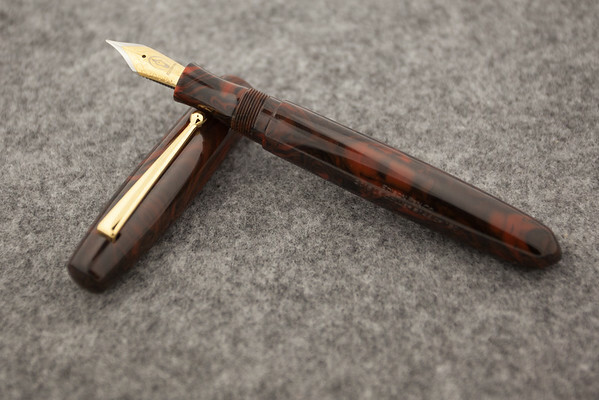 Edison Pen Co – Edison LE Collier is Goldspot’s Pen of the Year 2015!